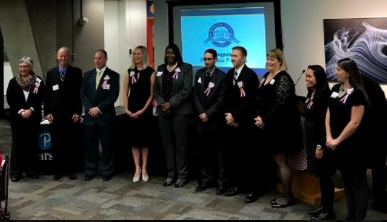 I am Natalie Johnson and have been in District 204 (D204) for nearly 20 years- ten at Waubonsie Valley and the remainder at Metea Valley. I have been teaching math for nearly 30 years. This school year, I am teaching Honors Precalculus and AP BC Calculus. My two sons are successful products of D204 – graduates of Steck, Granger, and Waubonsie Valley. The best way to reach me is via email, and I generally respond within two business days. I am generally available for help before school every day, arriving between 6:45 a.m. and 7:00 a.m. in our regular classroom meeting place. Math resource is also an option for help every lunch period. My classroom website is www.mrsnjohnson.com and is mobile ready and available to help streamline communication. New this year, I will also use an app called Remind to communicate tidbits of information from time to time. As in years past, a weekly agenda will be prominently displayed at the start of each week inside the classroom so that students are aware of our weekly plan. The classroom website consists of the entire year's textbook (homework) and worksheet assignments for students who wish to work ahead. The answers are also posted on the website, for I am more interested in seeing their critical thinking skills communicated and written on paper. I am super excited to work with the students this year. Let’s start strong and finish strong! Here’s to an AMAZING and successful school year! ﻿I attended the AP Regional Forum and it was very informative! To see upcoming changes to AP Calculus, click here. 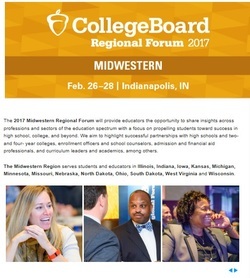 The 2019 Midwestern CollegeBoard forum is planned for Cleveland! I'm retooling and refreshing! Here is a detailed explanation of what Common Core teaching in math means: Click here. My communication preference is email. Scan www.mrsnjohnson.com into your smartphone for easy access. 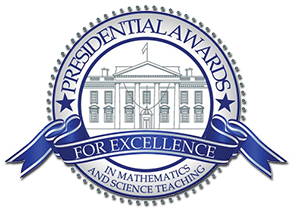 Website's Educational Objectives: To disseminate and monitor course/club materials (i.e., syllabi, worksheets, upcoming events, supporting alternative references to supplement course/club mission) and supplemental/supporting information to students directly related to their specific course/club; to monitor and provide students with a forum to share feedback, questions and answers directly related to problem solving and homework (i.e., alternative assessments) via a controlled environment; to allow parents to clearly review what is being covered in class and maintain consistent communication between the teacher, students and parents; to uphold and maintain district guidelines while focusing on student centered learning and achievement. Student Expectations for Acceptable Use: The teacher will make every reasonable effort to monitor student conduct related to class content in order to maintain a positive learning community. All participants will respect the teachers' time and professionalism by supporting the same positive approach. All participants will be respectful in their postings and comments. Inappropriate language, personal insults, profanity, spam, racist, sexist or discriminatory remarks, or threatening comments will be not be tolerated. No student, or other participant, may include any information on the site that could compromise the safety of him/herself or other class members. Participants should avoid specific comments about school location or schedules. Student use must follow all other expectations as listed in the Indian Prairie Student Handbook.